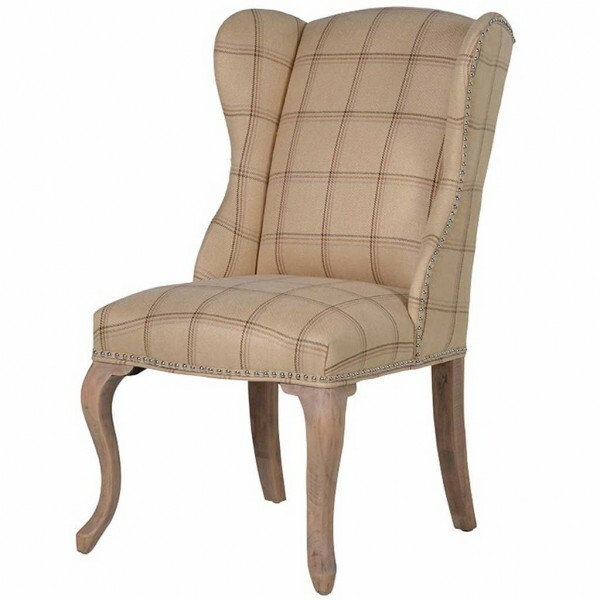 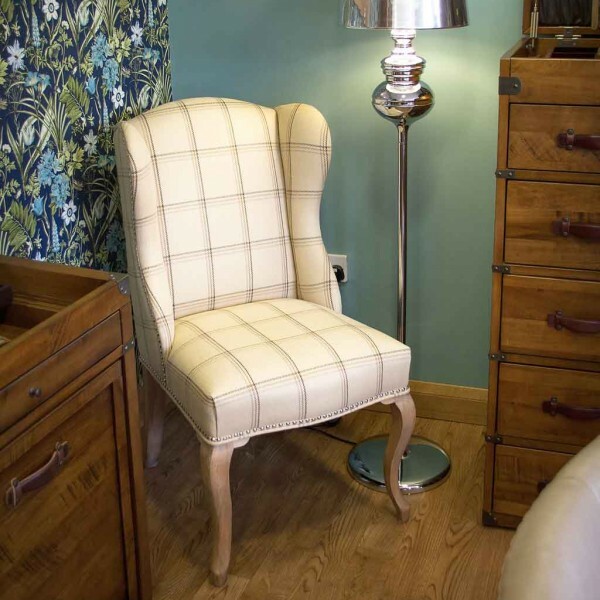 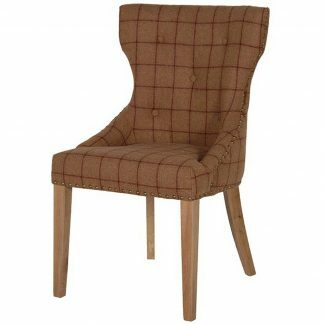 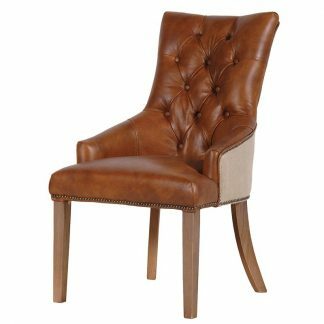 This cabriole leg dining chair has been made with a strong frame which is designed for durability. 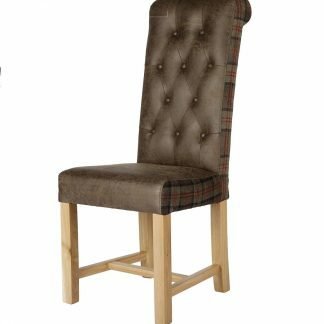 It is finished in a classic check fabric with metal studs. A chair that is both comfortable and super stylish.